Not going to throw it a 100x a game with a QB like Mariota anyway. Best thing we can get going is the run game and work off the play action. Screens and RPOs need to be apart of the offense though. Arthur Smith isn’t flashy but he’s a damn good TE coach. I believe he’s been around the longest of anyone which is weird. He’s definitely worked his way but I still feel it’s too early to be a OC. Vrabel wants to pound the ball though so regardless, we’re going to run the ball. Expectation is for Arthur Smith to have an official interview for OC job in coming days. My dream is that he takes the terminology from the Lafluer system and create new plays and reads with it. So lets say the play 11 X Zoom Right Y Trigger Under and it is a shot gun spread play. And if we used Smith as OC, he could call back on the number of years he has been here and the OC's he has played under to formulate his own style. you referring to visionaries like Palmer, Loggins, Robiskie, Michael and LeFleur? Arthur Smith? Has this guy called plays before? I don't trust people with 2 first names. General rule: Any Bobby Flay reference earns a football. That's a lot more defensive experience than I expect from an "innovative offensive mind"... But hey - the words will be the same so that's good. He might leave the team for another spot. Maybe we can all put our money together to convince him to stay, I love this thread. 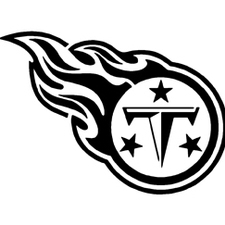 I had a feeling we liked Keelan Doss when Robinson talked about a late round WR, he seems like a Titan pick.. Danny Shelton would be a nice pick up and I definetly wouldn’t mind taking a flyer on Kevin White especially if he stays healthy.